The University of Northampton’s global reputation as a leader in leather education and research has been given a significant boost as work starts on a multimillion pound centre of excellence. The Institute for Creative Leather Technologies (ICLT) is to be housed in the University’s latest addition to its brand new £330m Waterside Campus, the International Leather Centre, opening in April 2019. Costing £5.5m, the new facility will allow the ICLT to bolster its worldwide reputation for delivering technical excellence in education, training and research. The 27,000 sq ft two-storey building includes a leather innovation lab, testing and research labs, teaching space and rooms for commercial organisations to rent, with the tenants having access to the wider facilities. The ICLT is a globally unique centre embracing the technical, scientific and creative elements of the leather value chain. Beyond the core areas of leather technology, the Institute’s activities are linked to areas such as fashion, product design, podiatry, environmental science, history, business and marketing. This mix equips the Institute to work with industry from early concept innovations through to the whole design and production supply chain, from raw materials to end of life, recycling and reuse. Its research responds to the scientific and technological needs of the automotive, fashion, footwear and allied leather industries. 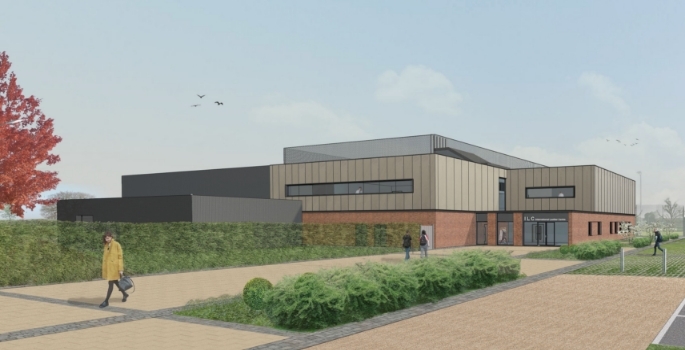 The new centre will replace the ICLT building at Park Campus, which closes in October as part of the University’s relocation to the town centre Waterside Campus. The University has signed a 25 year lease on the building, which has been funded by Legal & General Property and delivered by Stoford Developments. The October issue of UB magazine is out now!